The Oxbow Cardigan pattern by Andrea Mowry covers all sizes from 12 months children, to all women and men sizes. We picked one medium size for the Knit Kit. Recommended ease is 4-5 in / 10-13 cm positive ease. 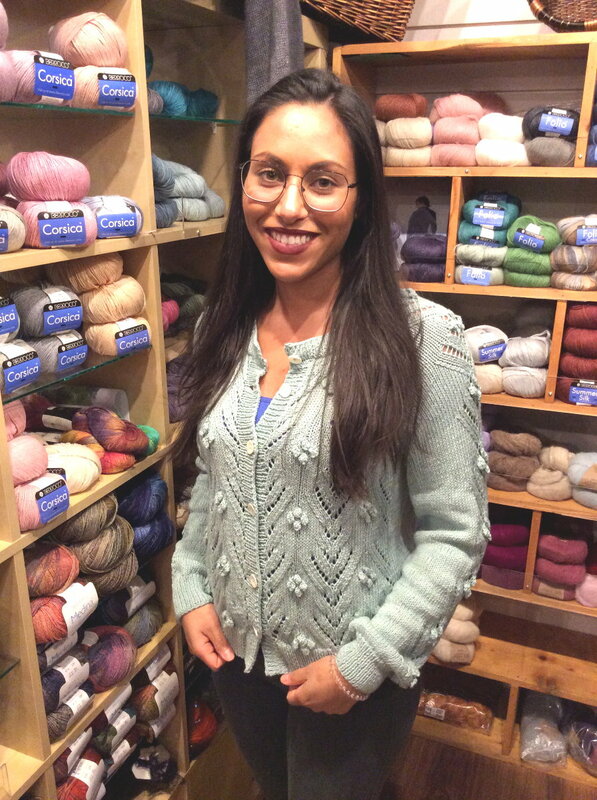 Andrea Mowry writes: “I wanted to create a sweater that I would enjoy knitting again and again. A cozy pattern to fit my whole family, including my husband, daughter, son and (of course) myself! Cardigans are perfect for layering, but also for gifting because of their flexible fit. And this engaging, easy-to-memorize stitch pattern is one of my all time favorites! The “wrong” side is just as attractive as the “right” side, so you could really get two very different sweaters by simply picking up the stitches for the shawl collar from the opposite side! The sweater is knit seamlessly (except for the underarms) from the bottom up, and finished by picking up stitches for the shawl collar”. This is a fast, cozy knit that is light to wear and very flattering! We paired this pattern with Berroco Catena, a light and lofty yarn. You'll fall in love the moment you squish a ball of Berroco Catena. This merino yarn is worked up in a chainette construction to add loftiness and help avoid pilling. If you want to purchase the yarn only, visit our online yarn shop for Berroco Catena.